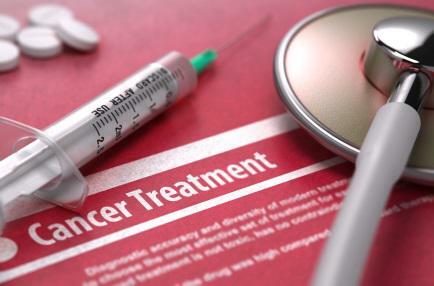 Although cancer research is ultimately about finding a cure for cancer, it also encompasses efforts to make cancer a more manageable disease with less toxic side effects. Decades of research led us to a new era in the treatment of cancer known as precision medicine. Gone are the days of the “one-size fits all” approach to cancer treatment. Instead, doctors are beginning to administer treatments based on the needs of each individual person, their genetic information, health history and specific conditions. Since 2014, Dr. Alice Shaw has been leading several clinical trials and translational efforts aimed at overcoming drug resistance for patients living with lung cancer. She was the lead investigator for global registration studies of crizotinib (Xalkori®) and ceritinib (Zykadia®), which led to regulatory approval of both drugs in advanced anaplastic lymphoma kinase non-small cell lung cancer (ALK-rearranged NSCLC). NFCR-funded scientist Dr. Curt Civin discovered that malaria drugs could potentially be used for cancer patients. He found that artemisinins – a class of drugs with low toxicity that are known for successfully treating malaria – are also effective in killing acute myeloid leukemia cancer cells. Dr. Daniel A. Haber’s laboratory focuses on understanding the genetic abnormalities of cancer and the research aims to guide targeted drug therapies. His lab is responsible for identifying a specific mutation in the epidermal growth factor receptor (EGFR) in a subset of NSCLC. By linking EGFR mutations to lung cancer, Dr. Haber made it possible to identify patients who will respond well to certain cancer-fighting drugs that block EGFR mutations. In July 2016, the FDA approved the drug Iressa® as a front-line treatment for patients with these specific tumor mutations that Dr. Haber identified. Since 2014, Dr. Alice Shaw has been leading several clinical trials and translational efforts aimed at overcoming drug resistance for patients living with lung cancer. She was the lead investigator for global registration studies of crizotinib (Xalkori®) and ceritinib (Zykadia®), which led to regulatory approval of both drugs in advanced anaplastic lymphoma kinase non-small cell lung cancer (ALK-rearranged NSCLC). Dr. Wei Zhang has devoted his entire career to the pursuit of precision oncology – specifically to the key molecular and genomic events that drive the development and progression of cancer. Over the last 18 years, Dr. Zhang and his team have identified multiple novel cancer markers and oncogenic signaling molecules. Currently, Dr. Zhang is studying how genetic expression, amplification and mutations relate to and regulate each other. Using data from next-generation sequencing, Dr. Zhang is identifying growth-promoting genes of a patient’s cancer.